-JdK- Three 1906 Nortons. Note the color of the tank of the Norton on the left. 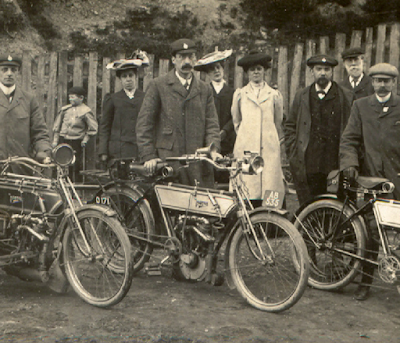 -Roger- Delightful picture of the Norton team using the 700cc Peugeot V-twin engine at Birmingham MCC race, Rose Hill, 1906, where they set the world speed record. Pa Norton is third from the right with his father next to him (second from right). Note the cap/lapel badges. 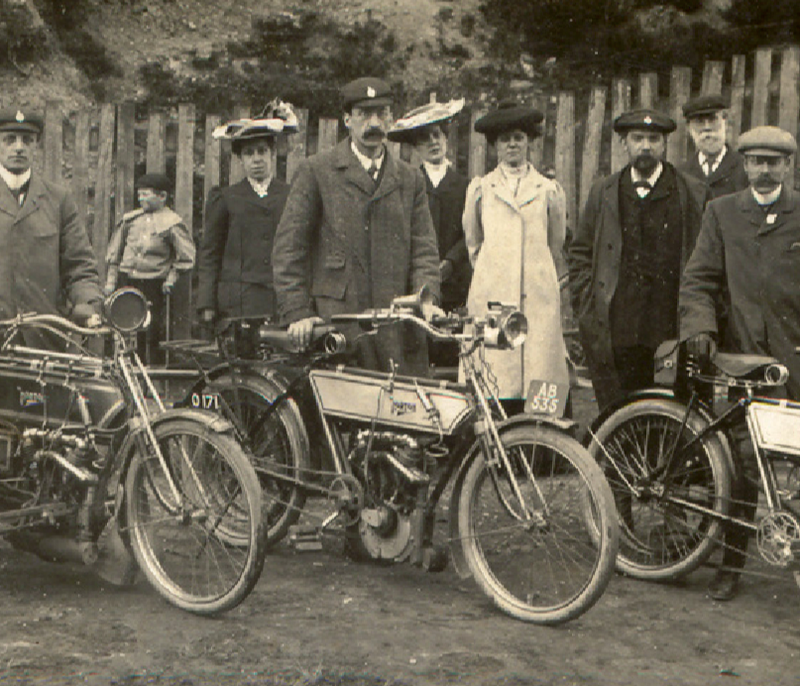 The registrations are both April 1905 but Norton moved them on to the new models each year. They could do this as the frame numbers were not recorded in the registers until 1921.